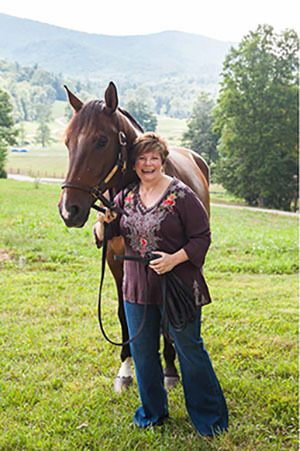 Dr. Trish Ring is the co-owner of Blue Star Ranch, a luxury retreat and equine coaching center in the Highlands-Cashiers resort area of North Carolina, approximately 2.5 hours north of Atlanta. She and her husband, Carl, are devoted to restoring the ranch’s 150 acres and sharing nature’s gifts with visitors. Trish specializes in Leadership Development for corporate executives as well as relationship/communication coaching for women, men, and couples. Private coaching is available by appointment, as is small group coaching on RingLeader Coaching Days. Trish holds a Ph.D. in Counseling Psychology from the University of Florida and is a Martha Beck Master Coach. An accomplished educator and a sophisticated coach, Trish loves to mentor peers to unlock the power and beauty of connecting with her beloved herd of horses.